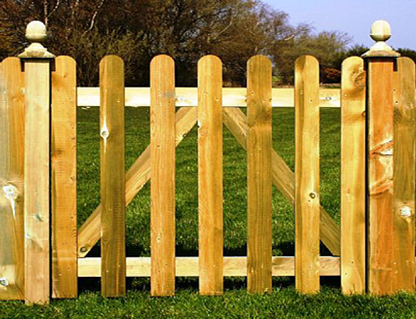 Round top pickets gates are 3ft (0.9m) wide with a dual hang bracing across the back. They are made from a 20x70mm smooth timber with a pre-cut round top. They are available in two heights 3ft (0.9m) or 4ft (1.2m). Perfect for a small pedestrian gate or keeping the dog in!